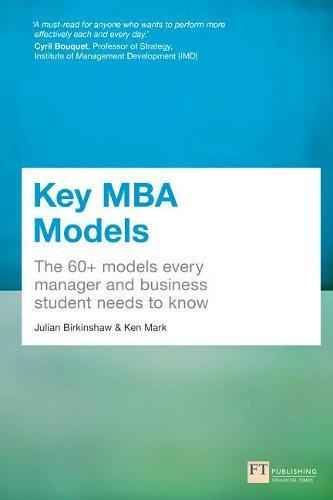 Key MBA Models is a one-stop-shop for all business course students and practicing managers. It contains the core management models from each business discipline - from Strategy and Finance to Marketing and Accounting - and distils them into concise summaries of what they are and how to apply them. The term 'model' is used loosely - in some cases it might be a framework (The 4 Ps of Marketing, Porter's Five Forces), in some cases it might be an important concept (open innovation or customer orientation), and in some cases it might be a technical model (the Capital Asset Pricing Model). Built on research with academics from the top international business schools, this book is an essential reference guide for every manager and MBA.